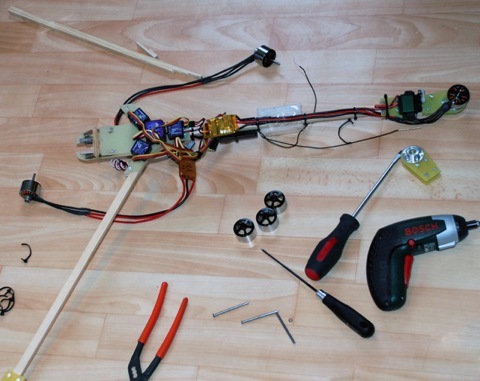 My poor Tricopter has now suffered over 20 crashes and it’s time to do some maintenance on it. I replaced the two front wooden arms which had snapped after a couple of crashes and just jammed in place to be able to keep flying. I also decided to replace the motor bells, shafts and propellers to make sure that it will fly silky smooth once again.